Hilton Sandestin Beach Golf Resort & Spa is a short drive (or free shuttle trip) from many of Northwest Florida’s best and largest shopping hubs. 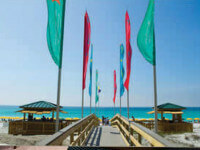 Grand Boulevard at Sandestin is the closest large shopping area to Hilton Sandestin Beach. Its shops sell beauty products, home furnishings, décor, wine, and men, women and children’s clothing. 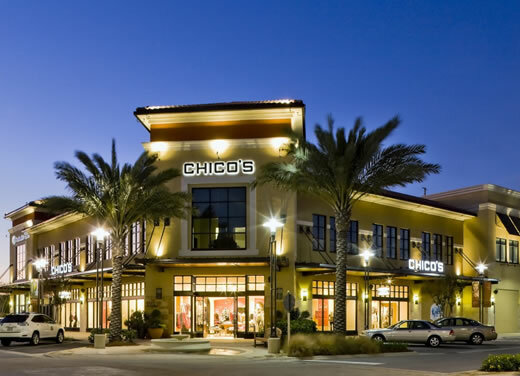 Examples include Brooks Brothers, J. Crew-at-the-beach, Chico’s, Tommy Bahama, The Orvis Company and Billabong. There is also a 10-screen movie theater, art galleries, salons and a park, all set in a pedestrian-friendly layout. 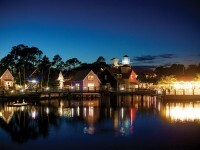 Restaurants include some of Destin’s fine dining options like P.F. Chang’s China Bistro, Tommy Bahama’s Restaurant & Bar and Fleming’s Prime Steakhouse & Wine Bar. 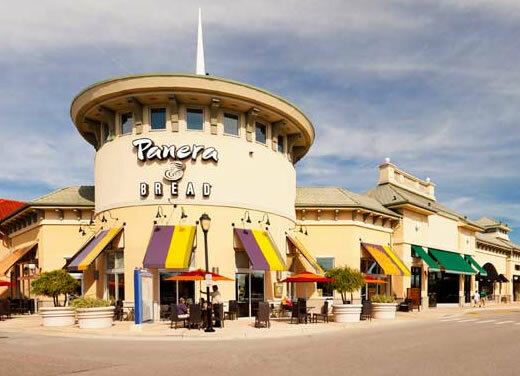 Destin’s Silver Sands Premium Outlets is one of the country’s best outlet centers – home to 110 designer and name brand outlet stores, as well as to several dining options including Carrabba’s Italian Grill and Panera Bread. Gifts, beauty and food, housewares, accessories, luggage, shoes and designer fashions for men, women and children are all offered here. Stores include Banana Republic, Coach, Polo Ralph Lauren and Saks Fifth Avenue Off 5th. 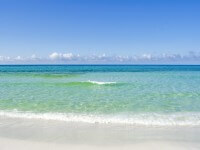 Guests of Hilton Sandestin Beach have complimentary shuttle service to and from Silver Sands. The Village of Baytowne Wharf, with its restaurants, nightlife offerings, attractions, festivals, parades, concerts and other special events, is much more than just a shopping center. But for shopaholics, the village’s 16 unique retailers shouldn’t be missed. They include Aloha Surf Company, American Doll, a Lilly Pulitzer Signature Store, Baytowne Jewelers, Coconut Kids, The Candymaker and Toys & Treasures. The charming village, located on the banks of the Choctawhatchee Bay, is close to Hilton Sandestin Beach, and shuttles run there regularly from the resort. 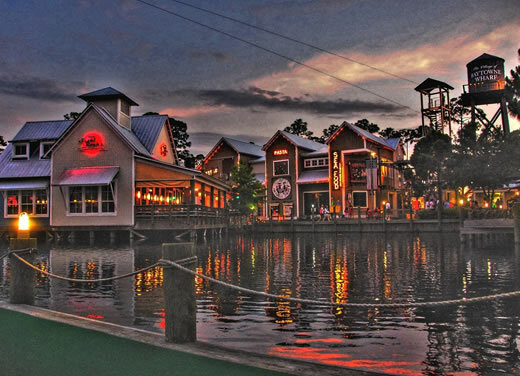 The village is also home to Baytowne Adventure Zone’s zip line and ropes course, arcades, a carousel, playground and 22 restaurants and nightlife venues. Destin Commons, voted "Best Place to Shop" by readers of Emerald Coast magazine, award-winning Destin Commons continues to set the standard as Northwest Florida's premier open-air lifestyle center. Set on 56 acres featuring over 600,000 square feet, the center includes almost 100 retail stores and restaurants offering the finest shopping, dining and entertainment, including anchors Bass Pro Shops, Belk, AMC Destin 14-screen stadium style move theater, H&M and Uncle Buck's Fishbowl & Grill. Destin Commons also offers 70,000 square feet of Class A office space, free Wi-Fi access, interactive fountain and Pirate's Cove children's soft play area. For additional information please call 850-337-8700. The Market Shops are a collection of unique local boutiques just outside the entrance to the resort. Guests can walk or bike to The Market Shops, or ride the complimentary shuttle from the resort. Here you’ll find everything from clothing and swimwear to chocolate, art and more. Boutiques include Sunset Shoes, Chapeau and Chocolat, Baytowne Jewelers and more. There are also some local eateries at The Market Shops including Charlie Graingers, Bijoux Restaurant & Spirits and DIG eatery.